Congrats on all of the greatness, Champ. Today, only a week and a half removed from his 4th Supercross title, Ryan Dungey has officially announced his retirement from the sport of motocross. This doesn’t come as a surprise to many insiders within the sport as his retirement was certainly circling the rumor mill for the past few months. Whether it was surprising or not is irrelevant, though, because there will be an epic void in our sport with the Diesel’s departure. 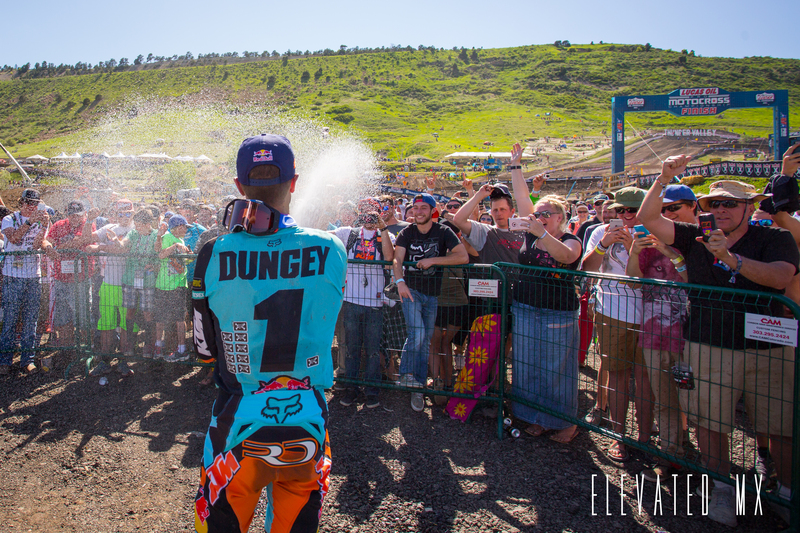 Throughout Dungey’s career, he has been the epitome of class, dignity and respect. Maybe a lot of his humility was garnered through the path he had to take to reach the pinnacle of our great sport. Unlike several of his other counterparts that were continuously dominant at the highest rungs throughout their career (James Stewart, Ryan Villopoto, Ricky Carmichael come to mind), Dungey was forced to fight for every shred of recognition and support that he gained. It wasn’t until he was on big bikes that he began to really garner the backing of big name sponsors. His rise to the apex of motocross successes was all but unlikely for years. 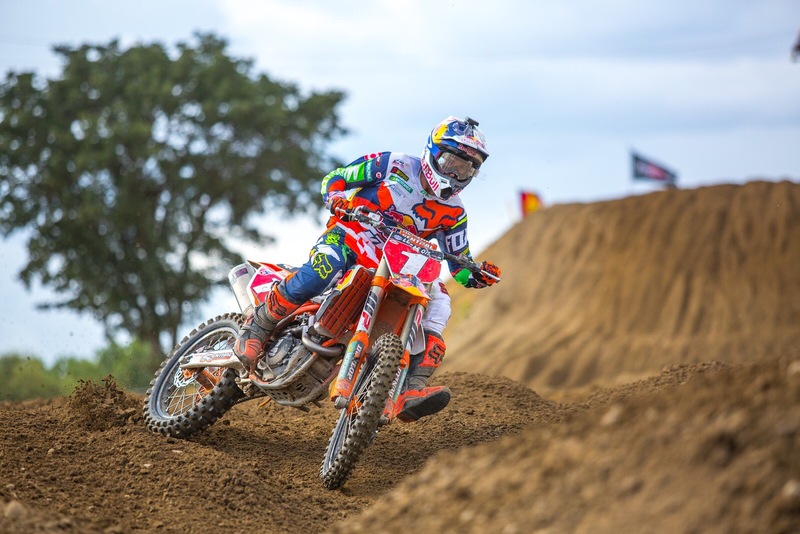 Dungey himself said in an interview that as he continued to get older, the doubt began to mount ever higher that he would ever make motocross happen as a career. Nonetheless, the underdog from Minnesota pushed on, and as the end of his amateur career began to wind down, he started to catch fire. In his final years, he was able to rattle off several impressive national championships. However, it wasn’t until a chance tryout in front of Roger DeCoster that he was given his shot at a full-factory ride. After blazing some wildly impressive laps on a rugged Glen Helen track, Dungey was able to snag himself a ride for the Factory Suzuki unit. In his first full season in Pro Motocross, Dungey showed serious flashes of brilliance and continued to improve at his craft as the year went on. In his next season, Dungey began on his path of consistency as he frequented the podium on his way to a second place finish in championship points, falling short to the ruthless redhead. In his final year on the littler bikes, Dungey was to lay claim to both the Supercross and Motocross titles, which was capped with an epic points battle with Christophe Pourcel. After Dunge made the leap to do battle with the big dogs, expectations were of course tempered as the cream of the crop included names like James Stewart and Chad Reed. 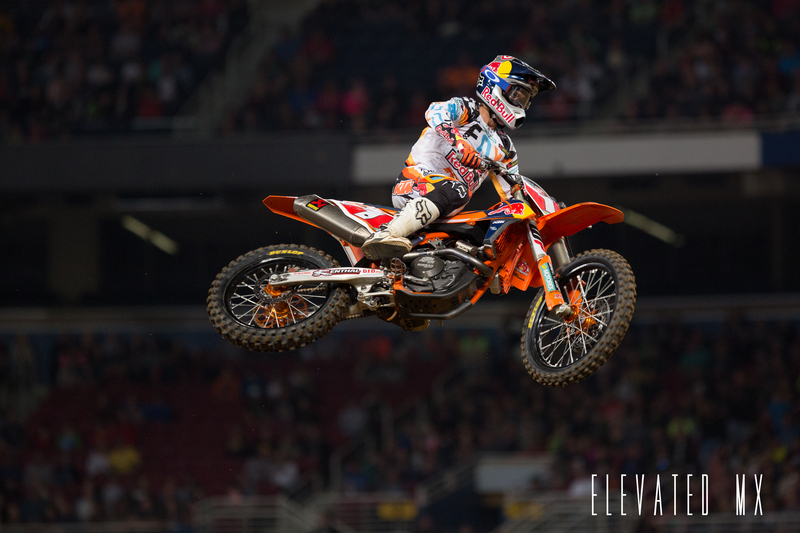 However, not being one to shy away from a challenge, Dungey was epicly consistent as he was able to snag both the Supercross and Motocross titles in his rookie year (the only one in history to accomplish that). Dungey’s splash in the 450s set the course for the rest of his career, which was poised to be filled with miles of success. 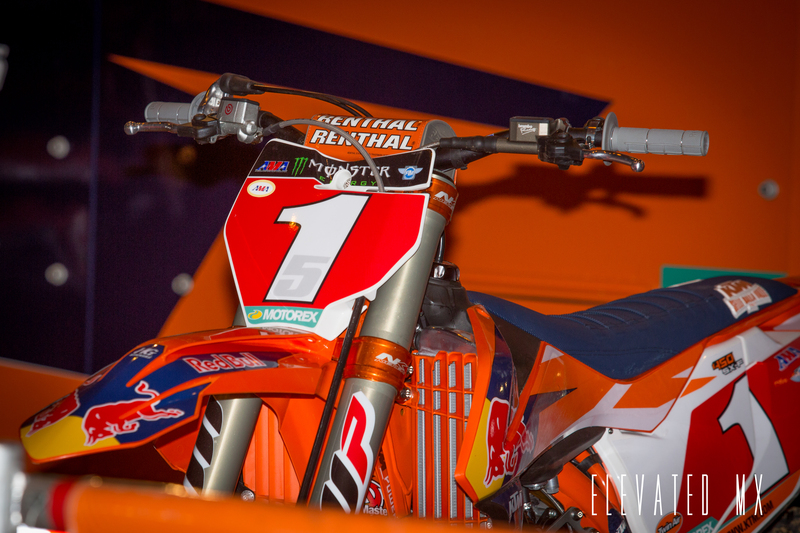 Dungey, over the following 7 seasons, was the model of consistency, determination and will-power. Although he was facing some of the most daunting competition that the sport has ever seen, he continued to show why he was so deserving of those first two titles, as he rattled off podium after podium in a career that deserves to be considered among one of the greatest of all-time. 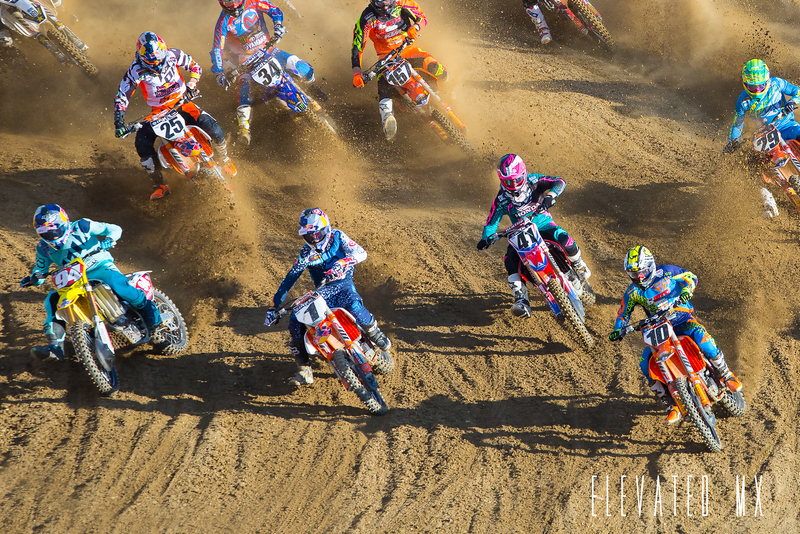 Dungey’s career was capped off with the most epic, and at times grueling, championship battle in recent memory. But as champs frequently do, he proved to be more than up for the challenge as he did what it took to salvage his 4th Supercross title, and 3rd in a row. Perhaps, more than anything else, the titles or the podiums, the successes or the moments of glory, Dungey will be remembered for what he did to push the sport of motocross forward. The Dunge was an ambassador to the sport like we have never seen. Dungey maintained the sponsors you would expect, Fox, Oakley, Red Bull; but he also had endorsements from atypical companies in the motocross community, companies like Target and Nike. Not to mention the fact that he was the first motocross athlete to be featured on a Wheaties’ box and in ESPN’s ‘The Body’ magazine. Those things may not sound like much, but they were vital in bringing our totally dope sport into the mainstream limelight. With his professional racing career in the rearview, we can only imagine that Dungey will continue to catapult our sport into being something that we all know it should be. Thanks for all of the memories, Champ, and best of luck in your future endeavors, we know that you’ll kill it.